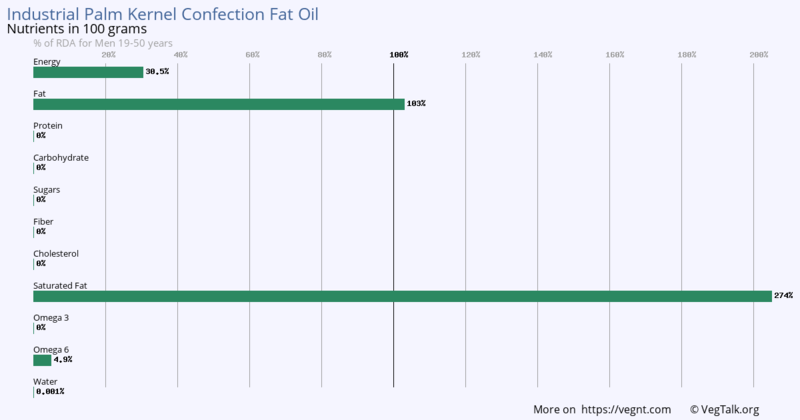 Industrial Palm Kernel Confection Fat Oil Uses Similar To High Quality Cocoa Butter. 100 grams of Industrial Palm Kernel Confection Fat Oil is an excellent source of Vitamin E and Vitamin K. It has no Vitamin A, Thiamine, Vitamin B2, Vitamin B3, Vitamin B6, Vitamin B12, Vitamin C and Folate. 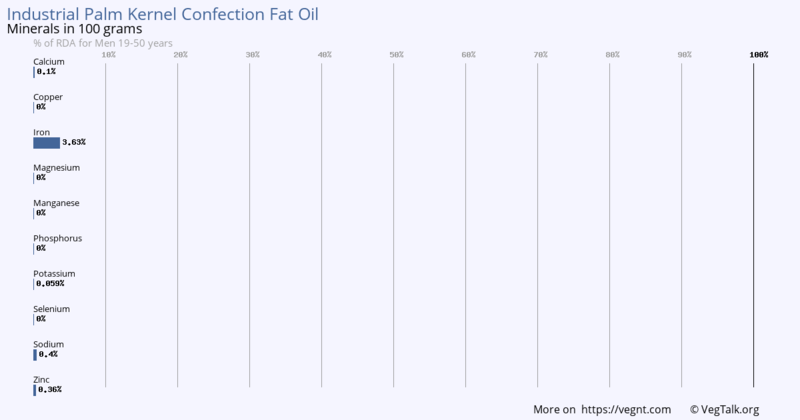 100 grams of Industrial Palm Kernel Confection Fat Oil has some Iron. It has no Calcium, Copper, Magnesium, Manganese, Phosphorus, Potassium, Selenium, Sodium and Zinc. 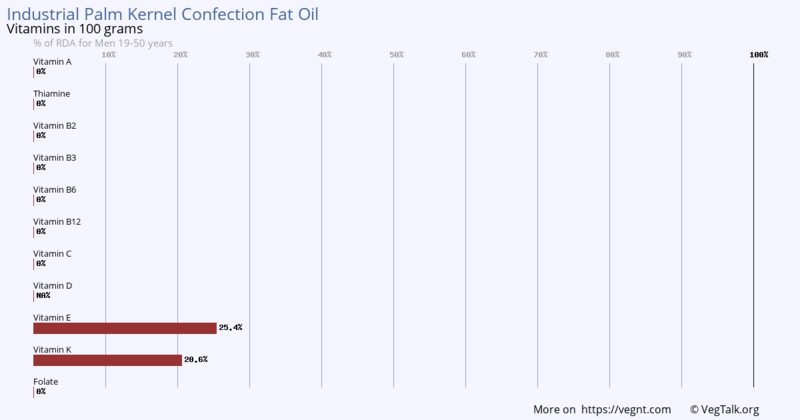 100 grams of Industrial Palm Kernel Confection Fat Oil has outstanding amounts of Fat and Saturated Fat. It has some Omega 6. It has no Protein, Carbohydrate, Sugars, Fiber and Omega 3.